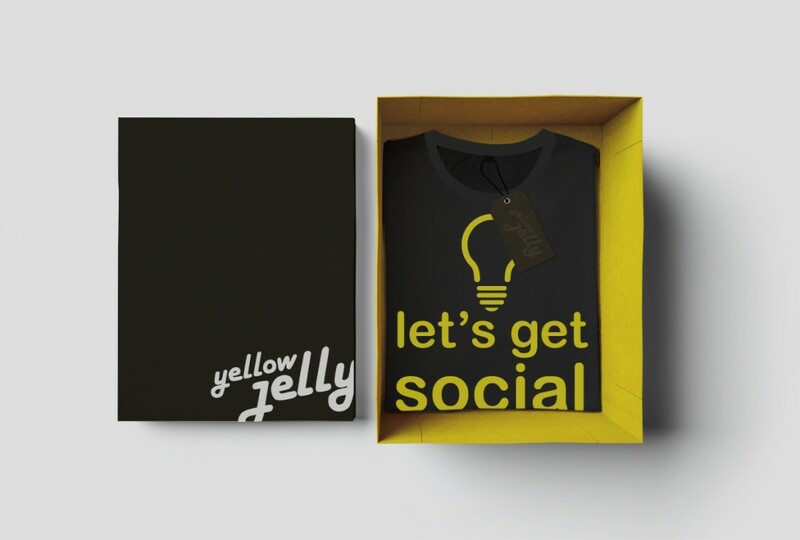 Yellow Jelly & Partners create social media campaigns, run paid social ads and offer social media management packages (and partnerships) to complement the day-to-day activities of any marketing department. Social media platforms are powerful tools that help expand and reach untapped potential customers and keep you connected to existing ones. People spend more time on social media than any other online sites. As social media cements its position as ‘always on’, brand campaigns should have social content and paid media plans at their core. Putting ad spend behind creating the best content possible, amplifies messages effectively, providing scalable, trackable results and metrics. Your social media advertisements can be served to people based on their location, demographics, passions – even which devices they use. 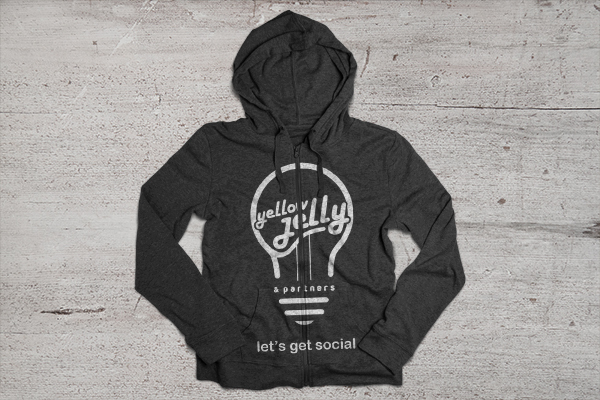 Yellow Jelly works closely with you to activate and guide your brand across every platform your audience gathers. Social media provides a forum for your most engaged and loyal fans to share their thoughts and communicate with you. There is nothing more valuable or cost-effective as organic, word-of-mouth sharing. Effective management can transform customers into advocates and they will become a channel for your business. This is where customers become influencers for the brand. 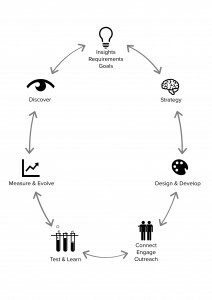 The YJ process has been developed to evolve alongside a brands social media journey. The adventure starts with lots of questions about insights, requirements and goals. What is the brand vision? What are the business objectives? Who do you want to connect with or reach out to? Is it current customers, potential new customers, influencers, or perhaps new niche markets you have not touched? How will you engage? What types of engagements will you do? What key messages do you wish to communicate? Who is the competition? Remember when you start this journey content can be king, so will it be blog posts, images, graphics, and or film? Will you promote other brands or only your own? Which channels will work best for you. Facebook, Twitter, YouTube, Pinterest, Google+ Instagram, Linkedin, Snapchat or it might be a new platform. Social media channels have a substantial role in driving users at every step of the consumer journey to a point of sale. Social media should serve as a central function to drive and inspire consumers to engage and purchase. To build a social media strategy and plan, it pays to ask what is the purpose of your social media channels? Social media listening will help define who engages with the content, products or services across a given market, identifying the unifying demographics of your social media base. Married with social media intelligence and analytics you can design and target content on the relevant social media channels within your market. Using these channels you can help shift perceptions of the brand with consumers and position it within the target space. Supported by social media messages and content you can drive users to a brands digital space (its community). Once there it’s key to sustain brand relevance and visibility not only in this space but stay in the consciousness of the digital consumer. As a brand grows, there should be a shift in the social media approach. What do we mean by this? Well, it’s time to focus on relevancy over frequency. So, in other words, don’t post to a brands social channels just for the sake of posting or to meet a quota. Also, it means to replace the obsession of audience volume to emphasis on audience engagement. That’s to say focus on a core audience who will often like, comment and share your content. When in the ‘design and develop’ phase, an established brand should think about producing co-created content with partners and influencers. Try to remove the focus on short-term, shallow engagements (likes, comments, shares) to enable and encourage long-term, loyal followers. Once established we resist using social channels as a news feed but involve users and influencers into the conversation to help tell a more human brand story. While engaged within the brand community, continue to test and learn, measure and evolve, discover and listen to who is engaging with the content? Where is the content being most engaged geographically? The more you can quantify the data on the efforts on a brand’s social channels, the more you can support all aspects of the business. If you would like to chat more about the social journey or how YJ&P might be able to assist your brand along the digital landscape please feel free to contact us.